First degree in Medicine at the Technion. PhD in Statistical Genetics at the Technion. MD at the Technion. 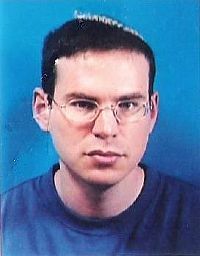 Participated in the Technion Excellence Program: October 1996 - June 2000. His curriculum included a variety of courses in mathematics, physics, computer science, chemistry and industrial engineering and management. In addition, he took advanced courses from the higher degrees curriculum and engaged in research on the subject of "statistical genetics", under the guidance of Prof. Karl Skorecki, from the Faculty of Medicine. About the Program: "My studies in the framework of the Program provided me with the opportunity to acquire a broad scientific basis in a variety of subjects. This knowledge, and especially the mathematical tools I acquired during my undergraduate studies, is of great value for my research". Recommendations: "The main advantage of the program is the complete flexibility it gives every participant in carrying out his/her scientific education. In addition, meeting many students from other disciplines is very enriching." Today (2012): Shai finished his residency in neurology, and Continues to work at Hadassah in neurology and Neuro-Oncology (brain tumors and nervous system and neurological aspects of the Oncology diseases) and begins to explore all aspects of genomic in Neuro-Oncology.